No "sagging middle" for this series! 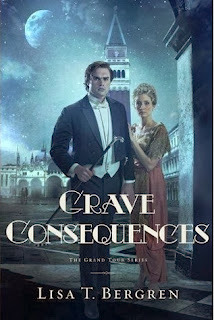 I adored the intrigue surrounding this Grand Tour, along with the romance. The one thing I especially appreciated about this second book was the journey. I loved the places the characters visit and how each different spot challenges them. This leg of their trip seemed more exotic and exciting than the first or last, at least for me. You can read my full review HERE. I wish I had this one in paperback - just look at that cover! 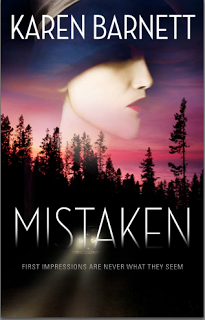 And the story inside is similarly colorful and mysterious, a gem of a historical romantic suspense that takes place during an interesting era (Prohibition) and in a region of the world that I love (the Pacific Northwest). You can read my full review HERE. An epic debut! 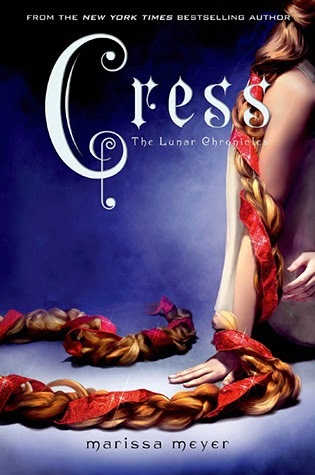 I loved the characters and the author's creativity in telling their story. 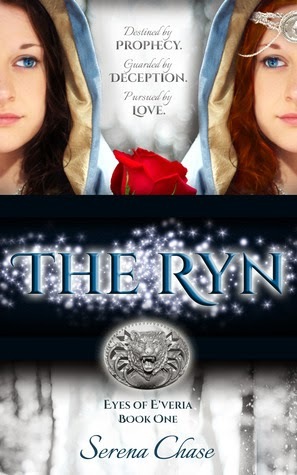 It doesn't get much better than a well-written and unique fairy-tale retelling! You can read my full review HERE. 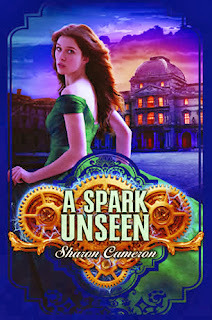 Cameron's debut, The Dark Unwinding, made my favorites list last year, and its sequel was quite satisfying! Definitely enthralling and wonderfully engaging - clever historical fiction for the YA crowd, creatively told. You can read my full review HERE. A refreshing contemporary romance for any time of the year! The descriptions and emotions are highly engaging, and the take-away message tied in with the title is wonderful. (I love a complex story with a simple, easy-to-remember but profound take-away.) You can read my full review HERE. I fell in love with Lena's work when reading The Language of Souls last winter, and many of you know that my love for that story led to me becoming a beta reader for Lena, which eventually led to a business partnership that has been one of the biggest blessings of 2013 for me. 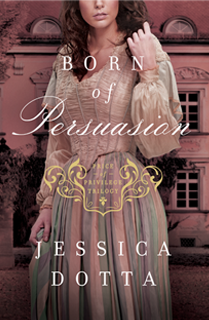 I had the pleasure of beta-reading and editing this story, and I adored it both times through. The location. The atmosphere. The struggle for identity and a future. And of course, Pono (the hero). The deeper points are so poignantly told, and the story is so heartfelt and beautifully imagined. This is my favorite of Lena's books so far, although I have loved each one! And here it is - the surprise of the year for me. I found Recalled for $.99 on Amazon during one of my all-too-frequent Kindle shopping sprees. The cover looked interesting, and the premise had potential, so I thought it couldn't hurt to give it a chance for that price. It certainly didn't hurt! Instead, the story proved to be a jewel in the rough, an indie book that, while having some rough edges (a few grammatical errors and swear words), glowed brightly - so much so that I promptly re-read it for the Contentment Reading Challenge only a few months later. Recalled is the story of a boy who loses everything, but has the chance to gain even more than he had - but only if he "escorts" a certain girl to her death. It's a story about difficult decisions, constant close calls, and rare revelations. It's a story to keep you up at night and leave you moved by its portrayal of love. 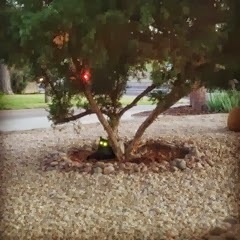 It's perhaps not a story for everyone, but I, for one, am so happy to have come across it! You can read more of my thoughts after re-reading the book HERE. I found these reads to be enjoyable and thought-provoking, and I hope you'll find them to be the same for you if you pick them up sometime (or if you've already done so). You can find more of my thoughts on books on Goodreads and Shelfari - I'd love to connect with you there! And of course I hope to continue to share book reviews and other bookish posts here. Please feel free to share you favorite reads of 2013! So... *twiddles thumbs* Remember how I was supposed to fit in a lot of last-minute reading before the year's end? Yeah, I failed miserably, unfortunately! Let's just hope that 2014 proves to be more productive in the reading department, or that I'll at least have a little more self-control when it comes to acquiring and requesting books, LOL! 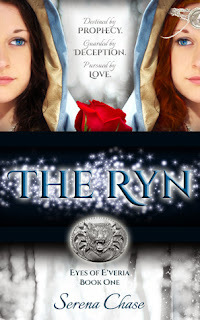 ...everything from inspirational historical romance to YA fantasy & paranormal! All were great reads and ones I enjoyed revisiting. If you participated in the challenge, do let us know your total in the comments section (including a link to your wrap-up post, if you'd like)! I'd also love to hear about your favorite re-reads and why you enjoyed revisiting them. As 2013 and the Contentment Reading Challenge come to an end, let's take this moment to share about some of the stories that have blessed us! I didn't even have to go digging through other TBR piles or shelves of books I've already read! These are all books I plan to read and review in the new year (minus All in Good Time, which I hope to read within the next few days!). Yes, the top spine is mainly black (although the red outfit pops! ), and All in Good Time could be considered more tan than yellow...but that's pretty close to red, orange, yellow, green, blue, indigo, and violet, wouldn't you agree? As for the other challenges for the read-a-thon, I just want to briefly address them by saying you can find some book covers I love on my "Cover Candy" Pinterest board, and I'll be sharing my list of favorite 2013 reads on New Year's Eve. So I won't be officially entering those challenges - hopefully I'll get busy reading and reviewing books until I post my wrap-up the night of the 30th! I'll also plan on posting a wrap-up for the Contentment Reading Challenge tomorrow. Lots of bookish things coming your way as 2013 comes to a close! My parents very generously gave me a new laptop for Christmas (among other sweet gifts! ), so I'll probably be working on getting that set up today or tomorrow... I've still got some other posts to write and share before 2014, though, so I'm sure you'll be hearing from me again soon! I hope you all had a lovely Christmas with family and friends! Who: Anyone with a blog or Facebook account! You can sign up for the read-a-thon HERE, if you'd like to join us! I think I'm going to challenge myself to read 4 books, but we'll see... I'll be posting my goals on the 26th sometime. 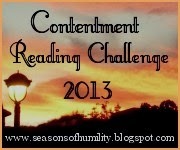 I'll also be sharing the last Contentment Reading Challenge post and my favorite reads of 2013 sometime before 2014 begins, so stay tuned! 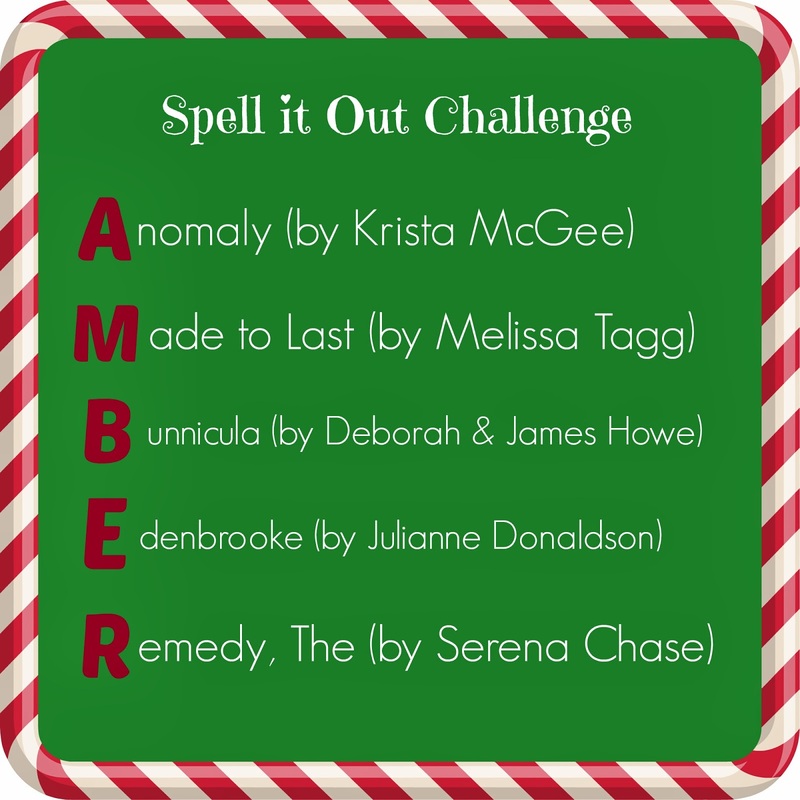 Thanks once again to Juliababyjen's Reading Room & Danasquare for putting together this read-a-thon, and thank you to all the blog hosts! Also, thanks to my Twitter/Blogger reading pals (@LoveBeingVegan, @Abooklovingirl, and @iblog4books) for encouraging me to join this fun event! "Does a second chance at life and love always involve surrender? With polarized opinions forming all over town, business becomes unavoidably personal and Robin and Ian must decide whether to cling to the familiar or surrender their plans to the God of Second Chances." 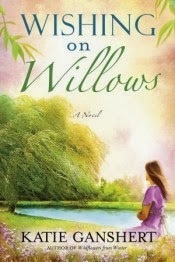 Wishing on Willows is another heartfelt story from Katie Ganshert. The writing is simply gorgeous - poignant themes gently whispering through the pages like the breeze through a weeping willow. It was a delight to discover each new lesson and reminder shared in touching and creative ways. The story develops at a slower pace as Robin, Ian, and Amanda (Robin's sister-in-law and roommate) face varying emotional hardships while dealing with a few emergencies along the way. I confess that Amanda often frustrated me, even while her dealings with love resonated with me. And as for Robin and Ian, the decisions they have to make as they continually grow closer together certainly escalate the tension. But the sweet moments along the way, and the way it all ends... So beautiful. The conclusion is stellar! I really enjoyed experiencing the lovely writing, seeing what became of the hero and heroine from Wildflowers from Winter, and visiting Robin's small town (full of intriguing inhabitants and interesting dilemmas). For a story about letting go and embracing life, Wishing on Willows is a wonderful read. Would you consider ranking my review? Thank you! Conclusion of The Case of the Crafty Christmas Crooks Blog Tour! 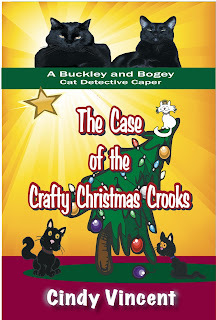 The Case of the Crafty Christmas Crooks blog tour was a special one for me, because it included so many things I love: cats, mysteries (including murder mystery parties! ), and a book I thoroughly enjoyed editing! I hope you had just as much fun following the tour, learning more about this sweet book, its awesome author and heroes, and what readers have to say about it. 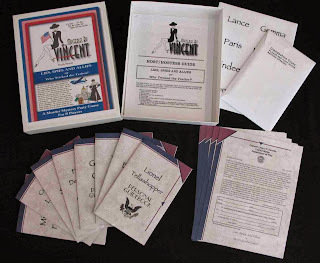 Grace Thorson won Lies, Spies and Allies from Mysteries by Vincent! Prize Pack #1 ~ Sandra W.
Prize Pack #2 ~ Melanie B. Prize Pack #3 ~ Jillian H.
Congratulations to all of the winners! Everyone's been e-mailed and has until December 28th to respond and claim their prizes before another winner is picked. Claims are dependent upon the winners having U.S./Canada mailing address, as per the rules of the contests/giveaway. The tour wouldn't have gone anywhere without them, and we appreciate their hard work and enthusiasm. Be sure to click the links above if you missed any of their stops - there are some neat reviews and interviews in there! And if you weren't one of the book giveaway winners but still want a chance to win a copy of The Case of the Crafty Christmas Crooks, don't miss the giveaway at Take It From Me (open for 9 more days)! I'd also like to thank Cindy for being such a sweet, fun, and generous client! 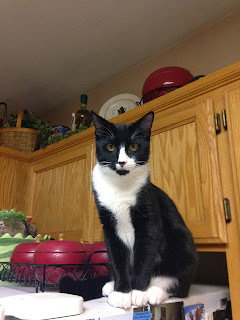 It's been a blast working with her, and I'm sure this won't be the last you all will hear of Buckley & Bogey on this blog! Today is the last day of the read-a-thon, so it's time to "read like the win, Bullseye"! 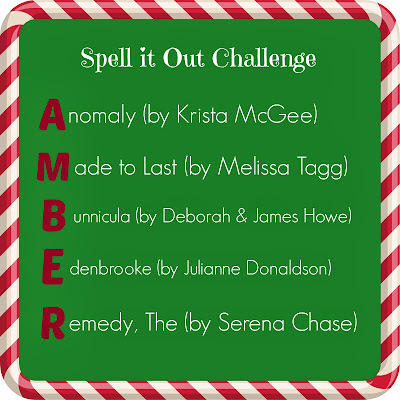 The last challenge for the #ReadingCram read-a-thon is a fun one - picking the 2014 reads you're most excited for! I'm limiting myself to my Top 10, but honestly, there are a ton of great reads I'm looking forward to enjoying in the new year. You can check out my shelves on Goodreads and/or Shelfari to see what I've already got on my TBR piles and keep up-to-date on the books I plan to read. Disclaimer: This list doesn't include the 2014 releases I haven't heard about/confirmed yet, the new authors and books I might discover, the books I can't wait to read that I already own, and my own releases (which I'm excited about, but probably shouldn't include, LOL). Cress by Marissa Meyer ~ I am so psyched for this third installment in "The Lunar Chronicles" series! I adored Scarlet and am eager to find out what happens next...! 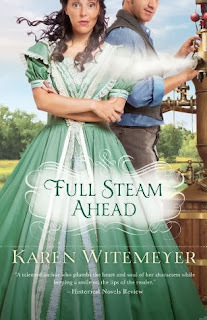 Full Steam Ahead by Karen Witemeyer ~ I love Witemeyer's writing style, historical romances, and the blurb for this story! 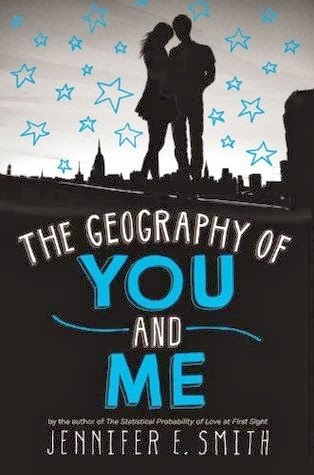 The Geography of You and Me by Jennifer E. Smith ~ I enjoyed The Statistical Probability of Love at First Sight, and I'm excited about another clever and imaginative love story from Smith! 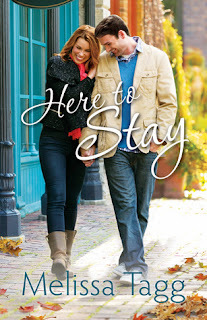 Here to Stay by Melissa Tagg ~ I loved Melissa's debut, and I feel like you can't go wrong with the story of an inn owner, this hero (a secondary character from Made to Last), and this cover! Shadow Hand by Anne Elisabeth Stengl ~ Another book with a gorgeous cover! I'm excited about this story of interesting secondary characters, with a promise of adventure and (hopefully) love. What about you? Which 2014 releases are you most anticipating? Can't wait to discuss more fabulous reads with you all in the new year! I'm a zillion light-years behind in this read-a-thon, but I still have today and tomorrow to read, so...! In other news, I completed a round of edits for Forget Me Not, which means I'm that much closer to getting the book into my readers' hands! It was really neat to finally be able to go back, over two years after completing the first draft, and make some (hopefully good) changes that needed to be made. Except for some lines and similar scenes, I pretty much completely rewrote Part 1 (of three parts), and I had a lot of reworking to do to tighten up and polish the writing. Revisiting the times when some of my characters were first introduced was so special, though - I ended up laughing and smiling a lot, falling more in love with these characters of my heart. Now the manuscript is in the capable hands of my copyeditor/proofreader, Rachelle Rea, and soon I'll be preparing for the February blog tour. Stay tuned! Meanwhile, I've got one publicity project ending this weekend (don't miss out on all the contests and giveaways for The Case of the Crafty Christmas Crooks blog tour, most of which are closing tonight! ), I've been chatting with some clients/friends about exciting projects for early 2014, and I've been working on some behind-the-scenes stuff for the cover reveal of my third novel, Morning Glory (happening January 3rd!). There's something for everyone there: a fascinating dystopian, a delightful contemporary romance, a clever children's story about a bunny vampire, a fun historical romance, and an epic fantasy. I gave all of these 4 or 5 stars and found them to be quite enjoyable reads! 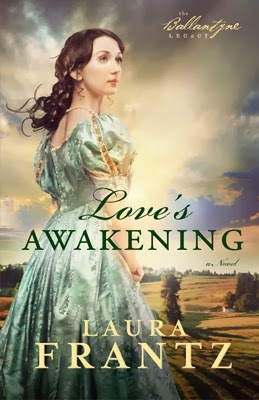 I'm working on Wishing on Willows, my 4th book for this read-a-thon, and hope to share my review of that story and some others in the coming days. 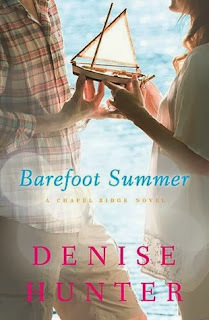 Meanwhile, today's challenge (sharing a review of a book read in 2013) is great timing, as I have another review to share from my #ReadingCram reading, anyway! Annalisa Werner's hope for a fairy tale love is over. Her husband failed her in every way and now his death has left her with few options to save the family farm. She needs a plentiful harvest. That, and a husband to help bring it in. Someone strong, dependable. That’ll be enough. A marriage for love...that's something she's given up on. So her father sends a letter to his brother in the Old Country, asking him to find Annalisa a groom. Then a man appears: Carl Richards, from their home country of Germany and a former schoolteacher--or so he says. He's looking for work and will serve on the farm until her husband arrives. With time running out, she accepts his help, but there's more to this man than he's admitting. He's also gentle, kind, charming--unlike any man she's ever known. But even as Carl is shining light into the darkness of her heart, she knows her true groom may arrive any day." Jody Hedlund doesn't just give great writing advice via her blog - she carries it out through her novels! They're well-crafted, with good pacing and engaging characterization. 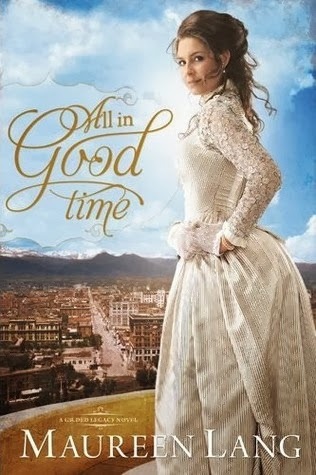 While the premise of A Noble Groom wouldn't normally be my favorite, as I'm generally not as interested in romance stories involving children, I still found myself drawn into the characters' dilemmas and loving Carl for his care not only for Annalisa, but also for her daughter Gretchen and others. For a guy who should be quite spoiled and self-centered given his past, he learns humility rather quickly (although it takes him a frustratingly long amount of time to accept facts that are quite obvious to the reader!). Hedlund doesn't spare her characters from humiliation, heartaches, and trials, and she uses each to create a sense of authenticity and a deeper sympathy for the characters. What I especially loved about this story, though, was the atmosphere. While some of the storyline elements/events aren't new to Christian fiction (A Promise to Love by Serena B. Miller shares some similarities, although they're certainly very different stories), A Noble Groom has a unique feel, very much matching the scene and colors depicted on the cover. 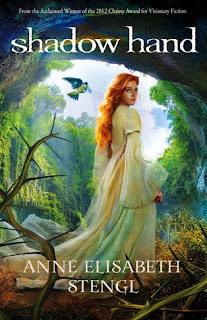 I love Hedlund's descriptions of the setting, as well as her intriguing balance of interesting details and great romance. All in all, I was charmed by the hero and the timely fairy-tale theme of A Noble Groom. Another winner from Hedlund! 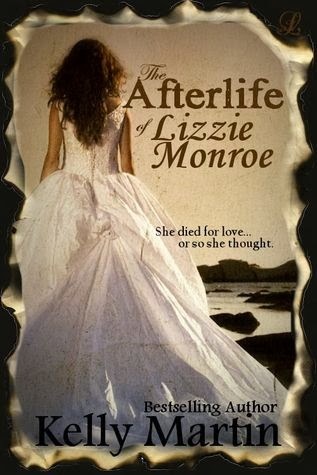 I finally finished my 3rd book for the read-a-thon last night - I'm going to have to pick up the pace this week! 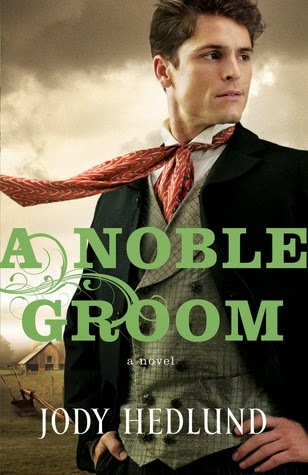 Be looking for my review of A Noble Groom tomorrow, and hopefully several more reviews later this week. 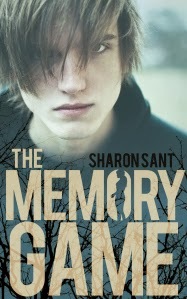 The Memory Game was one of those Kindle books I purchased on a whim this year (there were a lot of those, LOL), and I read it a couple of days before Halloween. It's one I couldn't recommend to all of my readers, mostly due to the language (which is unfortunate). However, the story really intrigued and surprised me, about a teen ghost who is left wandering his English hometown, unable to communicate with anyone except the girl he bullied. It's really a tragic and haunting read, but at the same time, there's something about the boy's growing understanding, the unique love story, the struggle to help when feeling helpless, and the fight for life that engrossed me. And the ending? Yeah, it's crazy! If you're willing to overlook the language, it's a thought-provoking and emotional read. For a cleaner and sweeter YA ghost story that still offers some great food for thought, I also highly recommend Haunting Joy by my cover designer and friend, Lena Goldfinch. Have you been following the trail of The Case of the Crafty Christmas Crooks? Be sure to check the blog tour page each day for direct links! Today's stop is right here, where we've got a BIG book giveaway happening! This giveaway is open to residents of the U.S. and Canada only, and entries will be accepted through December 20, 2013. There are a ton of ways to enter, and you'll find all the links and info you'll need in the Rafflecopter form below, which you'll use to submit your entries. If you have any questions, feel free to e-mail me! One of the ways to enter this giveaway, as you'll see on the form, is by entering the Pinterest contests set up for the blog tour. (Yes, you can double up entries in all these exciting contests/giveaways! Cool, huh?) 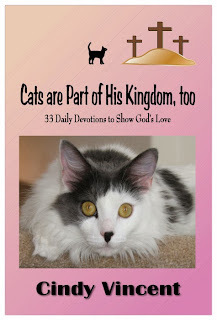 In case you missed hearing about these, you can learn more on the blog tour page, or you can check out an update on the "Pin Your Cute Cat Pic" contest from a few days ago HERE. Today I wanted to show you why you'll want to enter these Pinterest contests. The prizes are murder mystery party games. You might think, "Party kits. That's interesting. But they're just boxes... What do I do with them? Are they hard to set up? Is it worth the effort?" Want to see how much fun you can have hosting a murder mystery party? You have the chance to dress up, for starters! How many events do you get to attend after high school/college that include wearing costumes or dressing up? Seriously?? Epic photo ops! Exhibit A.
I currently have two unused party kits - Pasta, Passion, & Pistols and Diamonds Are For Eva. While my friends and I have had a lot of fun with the games from the former's line, I'm really excited to try out a Mysteries by Vincent game! 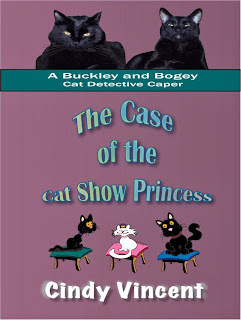 For one, having chatted with Cindy and edited/read her latest Cat Detective Caper book, I imagine her games are a little more...*ahem*...clean than the others. A little less awkward content will be nice! Plus, the 1960s, elegant, bejeweled, Frank-Sinatra theme sounds like it will be super fun to dress up and decorate for. It's been a while since I've hosted a murder mystery party, and I'm eager to try another one soon! So how about you? Want to host a Diamonds Are For Eva or Lies, Spies and Allies murder mystery party - maybe for New Year's Eve? Entries are currently low for the Pinterest contests, so chances are high for winning your very own party kit! 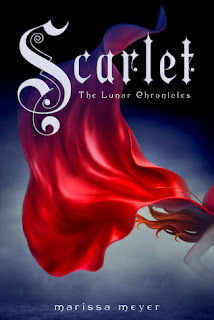 Remember that you can find all the rules on the blog tour page. And don't let the fine print intimidate you. I have to articulate things to avoid confusion and potentially frustrated entrants, but these contests are really super easy to enter - and fun! Hope to hear from you via e-mail soon! Well, it's Day 6 of the #ReadingCram Read-a-thon - hard to believe! I've only completed 2 books so far (my reviews: Barefoot Summer and Elusive Hope), but I've started a third and will keep chugging along. The book begins in winter and involves a heart-warming, colorful fairytale perfect for a snowy day curled up by the fire. (For those of you who actually get much snow, of course!) You can read my full review HERE. 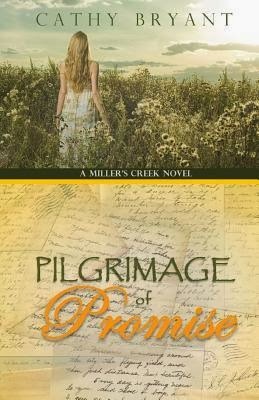 What's better for a rainy day than a historical romantic suspense set in the Pacific Northwest? (Lots and lots of rain in this part of the country.) You can read my full review HERE. And another book I can recommend that's in a similar vein and setting (albeit contemporary) is Love's Refuge by one of my editing/publicity clients, Sandra Leesmith. My favorite of Lena's books so far, and one I had the pleasure of editing and promoting this past summer! 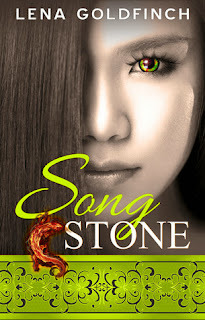 This is a fantasy romance set on a fictional island in the Pacific, complete with descriptive beach and jungle scenes. This book is for sure one of my faves of 2013. While it's not chills-running-up-your-spine spooky, it does involve G.R. (the Grim Reaper) and a mission to send someone to their death. So...yeah! (It's surprisingly touching and sweet, though, and I absolutely loved the story! Note that there is a bit of language.) You can read more of my thoughts on the book HERE. I can also recommend Paranormalcy (a fun paranormal read) and The Memory Game (a tragic but intriguing ghost story, albeit with some more language). What would be your seasonal recommendations from 2013?